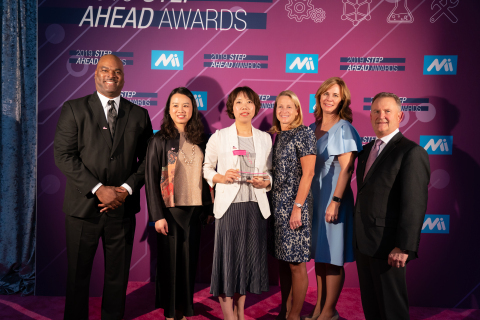 AGCO Corporation (NYSE: AGCO), a worldwide manufacturer and distributor of agriculture equipment and solutions, announces that Jane Song, manager, production for AGCO Power in Changzhou was honored with a 2019 STEP (Science, Technology, Engineering, and Production) Ahead Awards from The Women In Manufacturing, an initiative of the Manufacturing Institute. The Manufacturing Institute (the Institute) is the 501(c)(3) affiliate of the National Association of Manufacturers. As a non-partisan organization, the Institute is committed to delivering leading-edge information and services to the nation's manufacturers. The Institute is the authority on the attraction, qualification and development of world-class manufacturing talent. For more information, please visit www.themanufacturinginstitute.org.